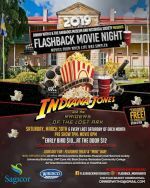 Dinner with G, in partnership with the Barbados Museum & Historical Society, presents Flashback Movie Night - the nostalgic Movie Night with movies from when life was simpler, cost of living was lower and the economy stabler. On every Last week of the month, enjoy all your movie favs in the Museum Wall Garden Theatre. - Build your Picnic Basket - Pre-order your movie spread; email dinnerwithg@gmail.com . Limited quantities available on site. 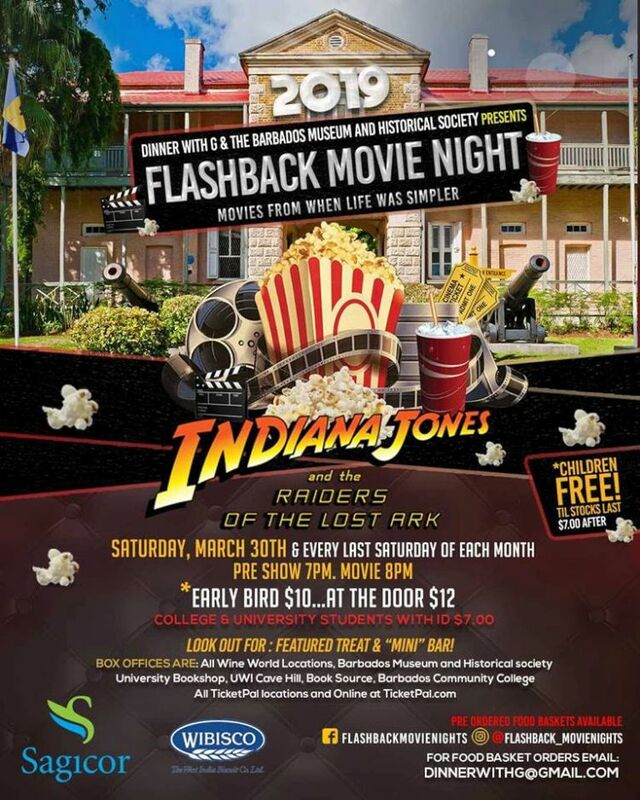 On Mar 30th, enjoy Indiana Jones and the Raiders of the Lost Ark (1981).